Team:Claudio Pelucchi, Nuno Lunet, Stefania Boccia, Zuo-Feng Zhang, Delphine Prauda, Paolo Boffetta, Fabio Levi, Keitaro Matsuo, Hidemi Ito, Jinfu Hu, Kenneth C. Johnson, Monica Ferraroni, Guo-Pei Yu, Bárbara Peleteiro, Reza Malekzadeh, Mohammad H. Derakhshan, Weimin Ye, David Zaridze, Dmitry Maximovitch, Nuria Aragonés, Vicente Martínz, Mohammadreza Pakseresht, Farhad Pourfarzi, Andrea Bellavia, Nicola Orsini, Alicja Wolk, Lina Mu, Dario Arzani, Robert C. Kurtz, Pagona Lagiou, Dimitrios Trichopoulos, Joshua Muscat, Carlo La Vecchia, Eva Negri. 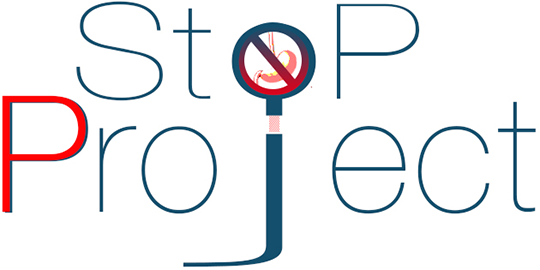 The "Stomach cancer Pooling (StoP) Project" is a consortium of epidemiological studies on gastric cancer, which relies on the presence of Portugal, similar to what already happens with other neoplasms. This new project aims to examine the role of several lifestyle and genetic determinants in the etiology of gastric cancer through pooled analyses of individual-level data, after central collection and validation of the original data sets by an Italian research group. Until now, 22 studies from 11 countries agreed to participate (Canada, China, Spain, USA, Greece, Iran, Italy, Japan, Portugal, Russia and Sweden), for a total of over 9000 cases and 23,000 controls. Of cases, 40% are from Asia, 43% from Europe and 17% from North America; 34% are women and 66% men; median age is 61 years. The uniquely large dataset will allow to define and quantify the main effects of each risk factor of interest, including a number of infrequent habits, and to adequately address associations in subgroups of the population, as well as interaction within and between environmental and genetic factors. Further, separate analyses according to different histotypes and subsites of gastric cancer will be conducted, in order to identify potential different risk patterns and aetiological characteristics. This project is supported by the Italian Ministry of Health (Bando Giovani Ricercatori 2011–2012).